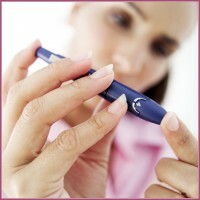 Diabetes is the leading cause of blindness in adults today. Lions internationally have been increasing their efforts to work with diabetes awareness programs, raise money for research to find a cure for this disease and to assist persons with diabetes. Locally, the Lions have funded the Larimer County Diabetes Helpline, a fund established to provide short-term assistance for diabetics to purchase insulin or test strips for blood glucose meters.